Power Take Off Flanges (PTO's) bolt on top of the flywheel or flexplate and the Spicer driveline in turn bolts to them. 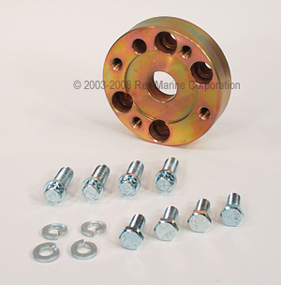 All the PTO flanges are 1" thick. PTO's are available for a number of older engines we do not have listed below. Please inquire if you do not see your engine on the list. 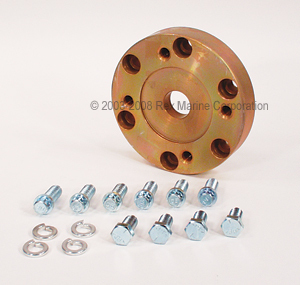 Flanges are also available for the Borg Warner Velvet Drive Transmissions.